To qualify as a commercial pilot, you need to complete both theoretical and aircraft ﬂight instruction. 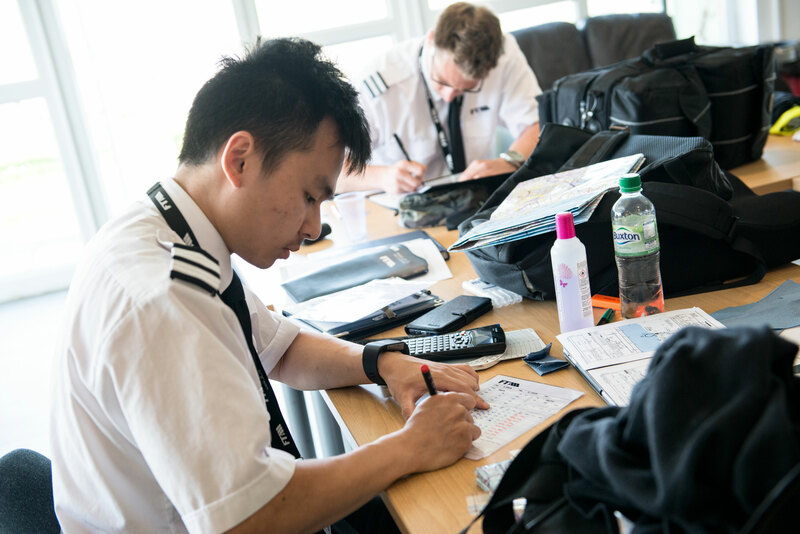 The Airline Transport Pilot Licence (ATPL) Theory is an important part of this instruction. It takes around six months to complete (21 weeks or 735 hours). The course covers various topics, such as meteorology, the principles of flight and navigation. We cluster the 14 subjects around three modules – with exams at the end of each module. 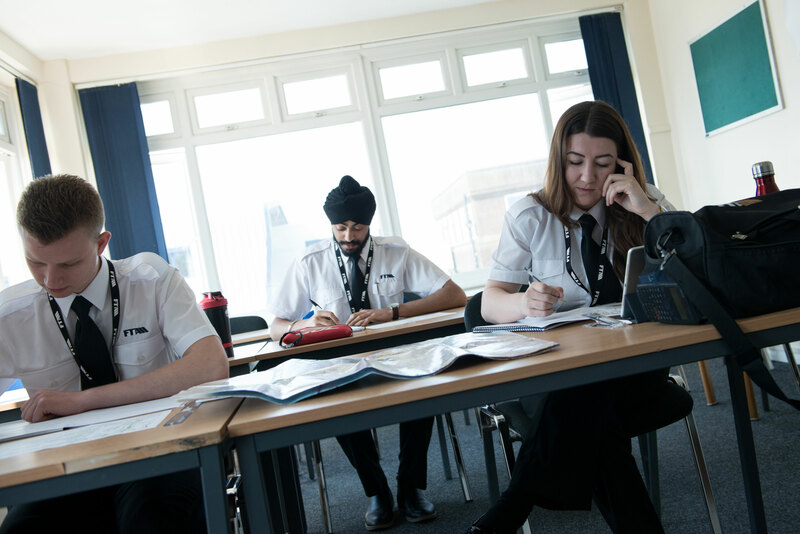 It is entirely classroom based and takes place at Brighton City Airport (our main base). The ATPL Theory requires considerable focus, study and revision. You’ll complete the course using PadPilot via an iPad or laptop – which means that you can complete additional study and revise anytime, anywhere. The order of completion depends on when your training begins. At the end of each module, you take the corresponding exams with the CAA at Gatwick. You have up to six sittings to complete a total of 14 exams, although typically this can be accomplished in three sessions. What are weather fronts? How are they formed? What are the potential dangers of the weather? What are the situations which affect the performance of an aircraft? If you opt for our Integrated Programme (either Option A or B), you complete phases one, two, three and four in various aircraft and simulators. The ATPL Theory is taken at the very start of your course (after the basic theory element) or after flight phase three. The timing depends on when you start your training. The elementary flight phases (one to three) are usually completed in the spring and summer to make the most of the fair weather. So your theoretical instruction would be taken either before or after this practical training. With modular training, you can enrol for ATPL Theory on any of the six start dates throughout the year, as detailed above. As a modular student, you must hold an International Civil Aviation Organization (ICAO) Private Pilot’s Licence. You do not need this licence to enrol but you must have the PPL before you start your training.